18 Pages. 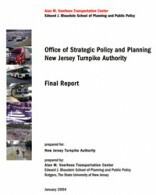 Presented To The New Jersey Turnpike Authority. January 2004.